The comprehensive transformation of business activities into the digital arena is nothing but a Digital transformation. It is aimed to fully leverage the new and varied digital technologies that are disrupting the market, as well as taking into account the impact these technologies have on the consumers. While digital transformation is typically associated with industrial growth, it has played an important role in changing the landscape of ERP. The volatile market landscape in India demands a digital transformation in order to transform india’s developing country disposition to a super power nation. More and more enterprise today are changing old ways of businesses and giving their businesses that competitive edge and investing in the cost effective transformation. 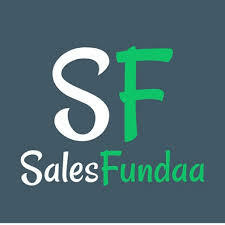 Salesfundaa ERP is an indispensable tool for SME’s all over India. How does Salesfundaa ERP impact digital transformation? The usual benefits of cloud-based ERP are well-known. It allows for easy access to ERP by anyone, as well as better utilization of resources. Cloud-based ERP can accelerate digital transformation by acting as an extension of the main ERP infrastructure. The existing ERP technology cannot fulfill the growing requirements, and more is needed. New functionalities such as analytics are needed. iERP bridges the gap between businesses and users and perform analytics on user data and churn out better results than their existing counterparts. Enterprises today have started integrating ERP functionalities into their CRM tools. As you can guess, an integrated ERP- CRM tool would be better (at both implementation and deployment stages) than individual tools. All of this contributes to making ERP better at doing what it does. In turn, it speeds up the digital transformation of organizations. Having access to more technologies in the same package with ERP, will make businesses more digitally transformed. Digital transformation has enabled companies to have far reaching access on the digital platform and the chances of better prospects have increased. However, digital transformation accelerated that need to encompass multiple technologies into a single tool. It has empowered enterprises to boost sales through a cutting edge advantage. Perhaps one of the Technological advancement is exponential today, and the Organisations cannot afford to replace a comprehensive tool like ERP even if better options are available. However, if the ERP is scalable, then the need to replace is substituted by the need to upgrade, which is far easier. Extensions like social platforms, cloud and analytics are necessary to provide a wider range of functionality to ERP tools in order to naturally speeds up the digital transformation of organizations. Social media platforms can have some far-reaching implications. Through Digital transformation ERP can leverage that by having extensions into the social accounts of users. That way, the digital transformation of users on social platforms is a business opportunity than a leisure activity. Upgrades also ensure that the latest features are accessible to you, which contribute to further digital transformation of your business. Call 9235 35 35 35 to get the cutting edge advantage of the Salesfundaa ERP today.